Final Round for Top Finalists is On. Cast your vote now, Visit http://www.hozpitalityexcellenceawards.com/chef-awards . 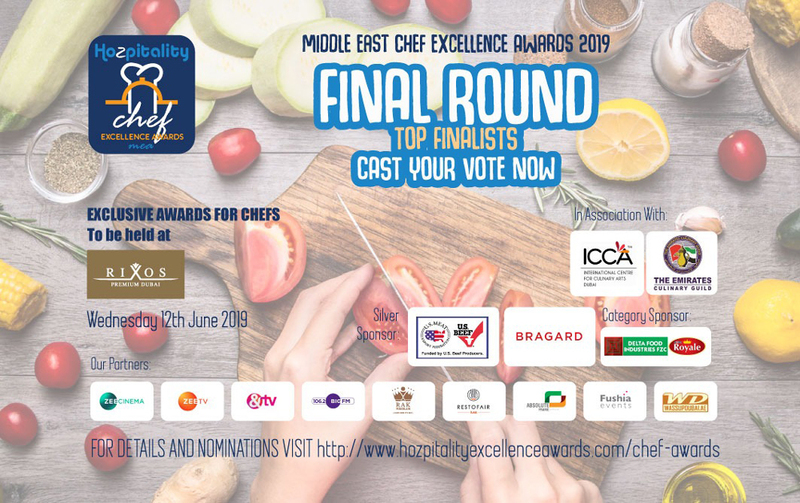 After 4 consecutive and successful Award ceremonies in Middle East and Africa, Hozpitality group is pleased to announce the 2nd “Hozpitality Chef Excellence Awards” on 12th June 2019 at the luxurious Rixos Premium Dubai. We have partnered with Emirates Culinary Guild for this prestigious Award night for Young Chefs.